It’s deja vu. Again. 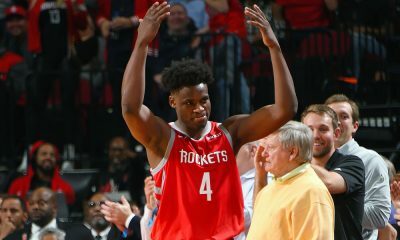 The Rockets are picking 14th in the NBA Draft. Again. They are trying to trade up in the draft. Again. 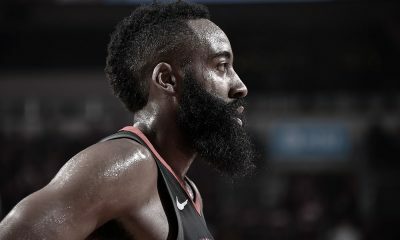 The Rockets are a complex equation right now and we don’t have a single fixed value to work with. We don’t know their direction with absolute certainty (and frankly, they may not yet either). Anything can change. Trade Courtney Lee and you could use a two-guard. Ship out Luis Scola or Patrick Patterson and true fours come into view. It’s deja vu. Again. 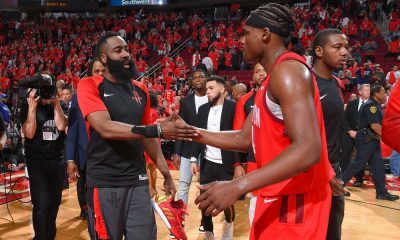 The Rockets are picking 14th in the NBA Draft. Again. They are trying to trade up in the draft. Again. 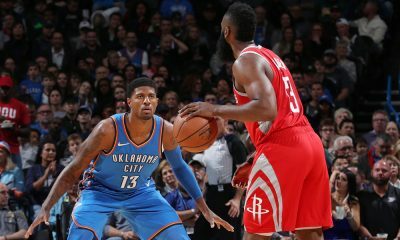 The Rockets are a complex equation right now and we don’t have a single fixed value to work with. We don’t know their direction with absolute certainty (and frankly, they may not yet either). Anything can change. Trade Courtney Lee and you could use a two-guard. Ship out Luis Scola or Patrick Patterson and true fours come into view. But we do know they’re trying to trade up. 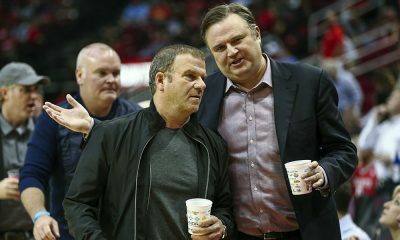 One source said the Rockets feel better about their chances to move up this year than any previous draft under Morey’s helm. So with so much uncertainty about where Houston is picking, here are seven prospects, projected to go anywhere from top 3 to the mid teens, that I think could be have an impact playing with the current Rockets squad. Motiejunas to Dwight Howard: Catch me if you can!